The organisers of the 2016 Formula One Singapore Airlines Singapore Grand Prix have set themselves a hard task. That’s simply because they want the all-round impact and excitement of the weekend of September 16 to 18 to once again surpass the level of previous years, providing visitors from around the world with an unrivalled package of high-octane racing, big-name musical acts, special fan events, and a genuinely unique ambience. When launched in 2008 as Formula One’s first night race, the Singapore Grand Prix immediately drew worldwide attention. 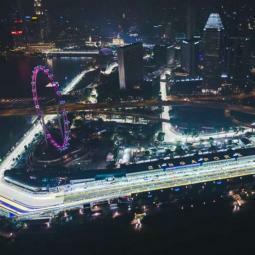 Run on the 5.065km Marina Bay Street Circuit, which winds anticlockwise through the heart of the city, it provided not just thrilling race action, but also spectacular views of the illuminated track against the backdrop of the Singapore skyline.